Hermanus is only a 90-minute drive from Cape Town and is perfect for a stopover on any Western Cape itinerary. I can highly recommend taking the scenic Route 44 which skirts along the coast from Gordon’s Bay to Rooi-Els and onwards to Hermanus. 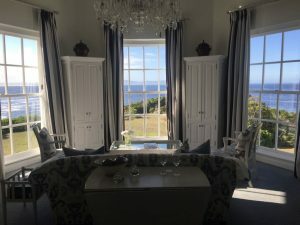 I was lucky enough to stay at The Marine Hotel for 1 night which is in the centre of Hermanus. This hotel is one of the 3 that make up The Collection by Liz McGrath and the overall experience is certainly 5* but with a very personal and intimate feel. I would suggest upgrading to a room with a sea-view as the views over the Walker Bay are fantastic and well worth the extra money. Hermanus is known as one of the best places in the world for land-based whale watching, however as it was March, and the whale season is best between May-September, there was not much activity apart from a few distant sightings. There is still plenty to do in Hermanus outside of the whale season, from the wonderful 11km cliff walk, nature walks in the Fernkloof Nature Reserve, browsing the many quirky shops or discovering the lovely beaches the town has to offer. There is a vast array of restaurants from the newly opened and very popular Char’d Grill & Wine Bar (book ahead!) to local favourites like The Fisherman’s Cottage. 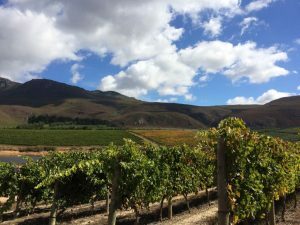 On the Sunday morning we took a short 15-minute drive from Hermanus to the visit the vineyards of the Hemel and Aarde Valley. 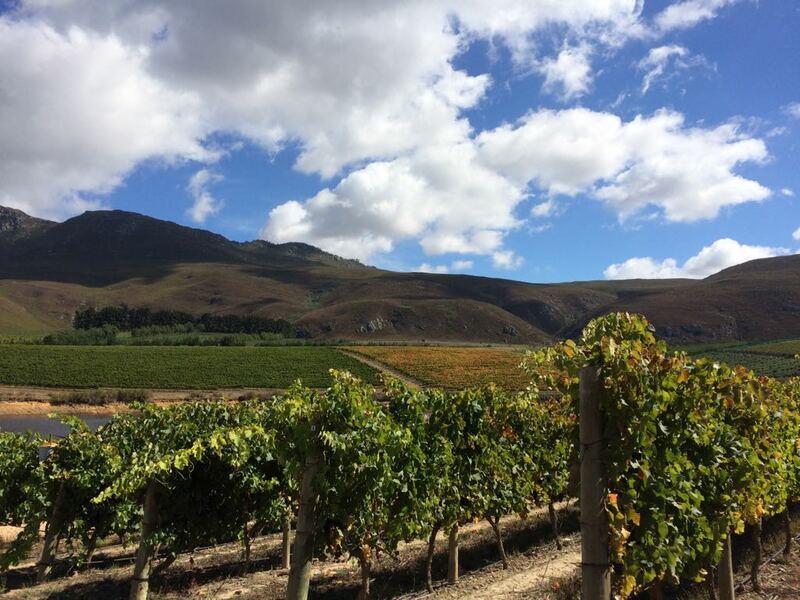 This is a beautiful scenic valley and it’s hard to believe, as you sit in a vineyard surrounded by mountains and valleys, that the ocean and the bustling seaside town of Hermanus is so close. 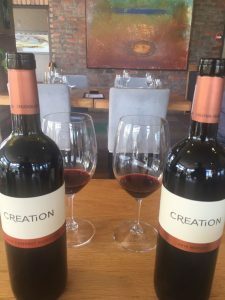 Some of the countries’ finest wines are produced in this region including Bouchard Finlayson and Hamilton Russell, however as none of these were open on a Sunday for tasting (check ahead), we visited the ‘new kid on the block’, Creation Wines. This was a treat and their wine pairing menu is certainly one of the most creative I have ever seen. The wine tasting is informative and casual and it’s a wonderful experience. 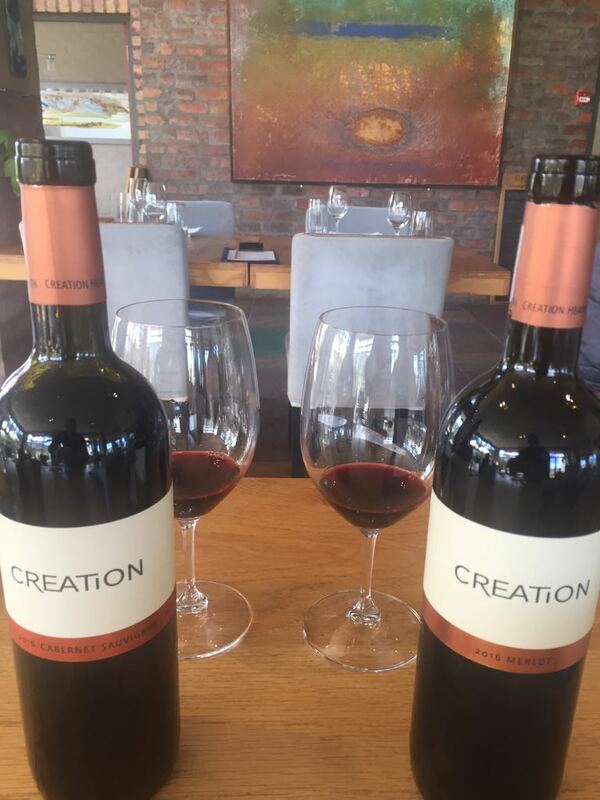 I can highly recommend a visit to these vineyards for anyone staying in Hermanus. After this short break it’s easy to understand why Hermanus is so popular with locals and visitors alike.